As I’m packing to leave for the Hard Rock Hotel & Casino in Punta Cana, Dominican Republic for a destination wedding this week, I have a super exciting giveaway for you guys! Like most people, I love shopping at Target, and I’m always excited to see friends and family register with the Target Wedding Registry for their wedding registry because it makes shopping for that special day so much easier – and fun! Target just has everything and the Target Wedding Catalog makes it so easy to shop for the special bride and groom! 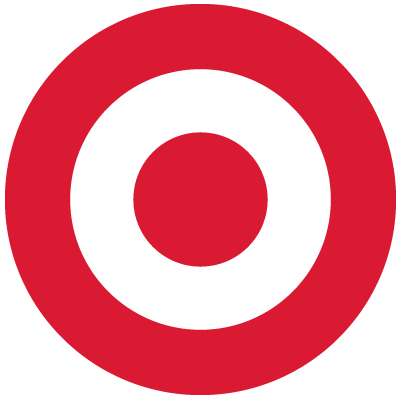 Whether it be new bedding, a Keurig coffee maker, the traditional set of wedding dishes, or a set of gorgeous wine glasses and corkscrew, you can find everything you need to give the perfect wedding gift at Target! Because my friend’s wedding is in the Dominican Republic, and she lives in California, I didn’t get to go to her engagement party, bridal shower, or bachelorette party – heck, I don’t even know if she even had one! Of all of the pre-wedding festivities, the bridal shower is my favorite. Even when I am not a bridesmaid, I love helping throw together bridal showers! The food, the games, the decorations – it’s all just so much fun! I think that the bridal shower is when the wedding excitement really comes to a head; talking about the dress, giving gifts that make the bride oooh and ahhh, what’s not to love? With my friend getting married in 2011 and my sister getting married in 2012, I have been involved in two fantastic bridal showers recently, and I’m psyched to share my best bridal shower tips with you today! Instead of a traditional sit down lunch or dinner, serve an array of finger foods so that guests – and the bride – can go from table to table and mingle, instead of being tied down to their seat. Bridal Showers move quickly and every minute is precious! Don’t waste time sitting down and eating when you can be spending time chatting with the ladies and enjoying the company! You can find lots of tools at Target to make serving finger foods easier – like this cute Bella Cake Pop Maker! Instead of assigning someone to handle the beverages, set up an easy beverage bar so that people can refill their own drinks! A fun twist on this idea is to set up a Keurig and/or Soda Stream so that guests can make their own specialty drinks, and attach a little note for the bride that their gift for the bridal shower is to take home the kitchen gadget! 3. Play Bridal Shower Games! Bridal Shower Bingo – Using bingo cards, replace the word BINGO with BRIDE. Instead of playing with numbers, write facts about weddings, or specific to the couple in each square. Follow the traditional bingo rules, and award a prize to the winner! The Purse Game – I always played this when I sold jewelry and did jewelry parties. Simply make a list of items that people might have in their purses and have everyone try to find that item in their own purse. Whoever has the most items on your list wins! Items to include might be: a nail file, a cell phone, a wallet, a key chain, lipstick, Band Aids, tweezers, Tylenol, a pen, a checkbook (that’s a good one because hardly anyone carries a checkbook anymore! ), coupons, mascara, etc! Are you getting ready to throw someone a bridal shower? You can enter to win a $25 Target gift card to help you buy fun stuff for your party right here! This giveaway is open to US residents and ends at 12:00 AM on November 14th! Keurig in red is a great choice. I would love to get the Rachael Ray Hard Anodized II 10 piece Set. Love the cocktail shaker (margaritas!) or the soda stream – something I want but would probably never buy for myself. I love the Rachel Ray 10 piece cookware set! The Tiered Pedestal Serving Plates – Set of 3 would be great for serving finger foods. getting a keurig K65 would be awesome. The tiered cake stands. One word: cupcakes! The Cake Pops and Donut hole maker, for the sweet table! I wasn’t really sure how to answer this one, I love some of the knife sets, but I’m not sure how anything on that page is for a bridal shower. I like the Nescafe Pixie – gotta have coffee! I like the Threshold 16 Piece Carnigan Field Stoneware Dinnerware Set. I like the KitchenAid Candy Apple Red 12-Piece Stainless Cutlery Set. I love Target. They have everything. I think the Soda Stream would make a nice gift! I WOULD GET THE AWESOME KEURIG! My favorite for a bridal shower is the Threshold™ 16 Piece Carnigan Field Stoneware Dinnerware Set . There is NO better kitchen gift other than a KitchenAid Mixer for a gal just starting out on her Chief Cook life!! NO other kitchen item (other than really good stainless steels pots and pans!!) will be more appreciated. I love to gift a newly wed with a KitchenAid! Giada De Laurentiis for Target 10-pc. Stainless Steel Cookset! I like the Soda Stream Machine! Great Gift! I like the Kitchen Essentials® from Calphalon® 5-pc. Bakeware Set. I like Giada’s red cast iron dutch oven! i think the kitched mixer would be a good gift to give. Cakepops! Soda is bad for you. Well, maybe cakepops are too! I love the KitchenAid 4.5 qt. Ultra Power Stand Mixer – Empire Red. I would choose the Pyrex 19 Piece Bake and Store Set – Clear so after the party things can be stored or sent home with the bride and guests. It is all so versitile! Definitely the Bella Cake Pop Maker. I would like the Keurig. I like the Kitchenaid mixer! I love the Sunbeam panini maker! Yum! Tiered Pedestal Serving Plates – Set of 3 for displaying finger foods and cupcakes. I love the squish measuring cups, such fun colors! Calphalon 12 piece cookware set. Every bride needs to cook–or her husband. I like the tiered pedestal serving plates–you can use them for food and for other fun things at a bridal shower! The Keurig. Everybody loves coffee. You can’t go wrong with Kitchen Aid anything. However, I love the Kitchen Aid mixer. The Nespresso bundle would be the perfect appliance at the party: delicious espressos coming up! KitchenAid Ultra Power 4.5 Qt Stand Mixer would love this! I would like the Kitchen Aid Mixer to make a lot of awesome wedding appetizers! My favorite is the Nespresso Pixie Espresso Machine Bundle – Chrome. A Keurig would make an amazing gift. A red Kitchenaid mixer of course! The Kitchenaid mixer hands down. I would probably not be giving a shower but I’m sure my wife would like to use the Tiered Pedestal Serving Plates for her trademark brownies. I love the 16 piece Corelle set in Sketch! I like the glass cake stand with cover. Those are some great tips! Many people are not fans of wedding shower games but I enjoy them! I love the Kitchen Essentials® from Calphalon® 12 Cup Cupcake Carrier and Pan. I need one for myself! Something I would have on my list. The KitchenAid stand mixer. I really like the Dyson DC34 Handheld vacuum. Great for a speedy cleanup after the shower. I’d love the Riedel Vivant Champagne Flutes Set of 4 – perfect for celebrating! I love the Kitchen Aid Stand Mixer! I like the KitchenAid 7″ Santoku knife. I like the Kitchen Essentials from Calphalon 5-pc. Bakeware Set. The tiered cake stands are gorgeous! I am torn between a keurig and a Kitchenaid mixer. Hmm there’s a lot of great items, but I think I would pick the Crock-Pot® 6 Qt Slow Cooker – Red. Crock pots are something that can be used year round and even brought on vaca to cook wholesome meals in a snap. The Oster Belgian waffle maker, my friend did an early morning shower and used bite size waffle pieces and dipping cups for syrup, it was so cute! The Keurig would be my choice. The 10 pc Rachael Ray Cookware set! The Tomodachi knives – everyone needs knives and these are funky! I love the Rachel Ray 10 piece cook set! I would love the Kitchen Aid mixer! The Nespresso Pixie espresso machine! I like the Hamilton Beach Smoothie Blender. The KitchenAid Ultra Power 4.5 Qt Stand Mixer. The SodaStream – we love ours! Love the Hamilton Beach 12-cup BrewMaster — love to have coffee with cake and cookies at a party! An empire red kitchenaid stand mixer! Everyone needs a KitchenAid stand mixer! I would pick the KitchenAid Glass Coffee Maker. i think i would go with the Oster DuraCeramic Flip Belgian Waffle Maker – Silver (1.5 Inch), why can’t you serve waffles lol? I like the Calphalon Kitchen Essentials 12 Cup Cupcake Carrier and Pan. I like the Corelle 16pc dinnerware set in sketch. I like the Sunbeam Panini Maker! The Keurig! Coffee is always great and can fuel great conversations. The Keurig K65 would rock my world. I love the KitchenAid Mixer in Red. I could make all kinds of great desserts for the shower. I think the Tiered Pedestal Serving Plates – Set of 3 would be great to have for a bridal shower. Thank you!! The waffle maker would be great for a brunch shower! Rachel Ray cookware sets are always useful! I want the KitchenAid stand mixer in red! I love the Hampton Forge Continental 15pc. Cutlery Set w/Block. My favorite is the chrome Nespresso Pixie Espresso Machine Bundle. The KitchenAid 12pc Cutlery set is a useful item. Would love to give the Calphalon Kitchen Essentials 12 piece Stainless Steel Cookware Set – would be something that they would use! I love the Corelle dinnerware set in folk stitch! Such great choices and very practical items, thanks! the KitchenAid 12pc Stainless Steel Cutlery Set would be very nice! I definitely love the KitchenAid Mixers! I love the Tiered Pedestal Serving Plates – Set of 3. My favorite is the Kitchen Aid stand mixer. I think the KitchenAid Personal Coffee Maker could make a good gift. Henckels Premio 14-pc. Metal Cap Knife Set because every kitchen should have good kives. The KitchenAid Mixer is a must have. I like KitchenAid Contour Silver 7 Cup Food Processor. the camera to take pics with because mine has bit the dust and the kitchenaid mixer because I only have a small one that would not handle that much baking. i love the RED KitchenAid mixer! so gorgeous! I think either one of the Rachel Ray cooking sets or the Keurig would be great for a bridal shower. I like the SwissGear Zurich Upright Spinner 20″ Burgandy – so the newlyweds would be ready for their honeymoon travels! I like the Threshold Luxury towels from Target. I’d love a KitchenAid Ultra Power 4.5 Qt Stand Mixer, so I think it would make a great gift too! I want the black Keurig. I love the Fieldcrest Luxury Goose Down Comforter it would be cozy. the cocktail shaker for mixed drinks would be my pick. Nothing like little alcohol to spice it up! My favorite is the Hamilton Beach Die Cast Smoothie Smart® Blender! I love the Sunbeam panini maker! Calphalon Kitchen Essentials 12 Cup Cupcake Carrier and Pan would be great for a bridal shower! The Keurig is a great choice. I love the cake pop maker, so cute! The KitchenAid mixer is always a very nice gift. Love the red or black Keurig. Thanks for the opportunity to win! I like the Calphalon Kitchen Essentials 12 piece Stainless Steel Cookware !! I like the 10 piece Rachel Ray Anodized cookware set. I would choose the Calphalon Kitchen Essentials. The Soda Stream would be the best. The Rachel Ray 10 piece Cookware Set!! my favorite is the Hampton Forge Continental 15pc. Cutlery Set w/Block. the kitchen aid stand mixer for the lovely couple! I definitely love the Rachael Ray Hard Anodized II 10 piece Set. The Rachel Ray Cookware, what bride would not want that?? I like the Rachel Ray 10 piece cookware set. Thanks for the giveaway… Ninja 3-in-1 Cooking System ! Gotta love the Keurig or Rachel Ray cookware set! I’d personally love either! I like the KitchenAid Candy Apple Red 12pc Stainless Steel Cutlery Set.